It seems Nokia is also working on Smart watch, the report says. Nowadays most of the new devices are getting leaks before the official launch. 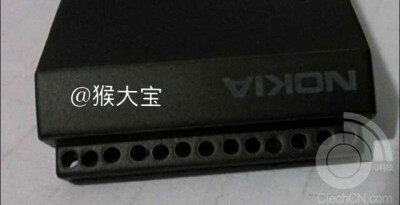 Two pictures of a Nokia Smartphones have leaked online. Nokia could announced it at the Nokia World event on October 22nd. Samsung and Sony has already in buzz because of there recently launched Smartwatch. The leaked images shows only the watch without strap with company’s LOGO. There bunch of device including a phablet and a tablet the company might launch At the Nokia World. The device has Samsung and LG will soon launch smartphones with flexible curved display. In mean time share your thoughts about the upcoming devices. We will update if something new pops up, stay tune.